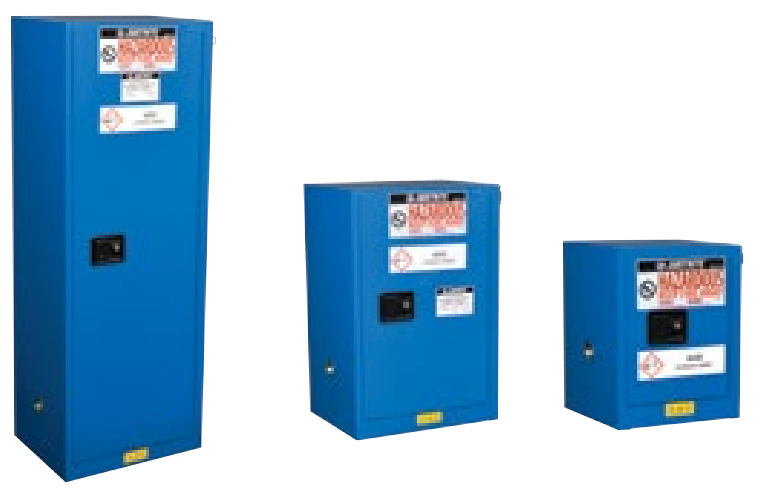 Envirosafe Ireland provide Safety Cabinets for Hazardous Materials. For superior protection against corrosion from drips and off-gassing from harsh chemicals, use ChemCor lined safety cabinets. They feature a unique, flame-coated thermoplastic finish on interior doors, shelves, walls, ceiling, and sump. The non-porous, seam-free surface eliminates the need for corrosion-prone rivets or fasteners. It resists staining and cleans up easily. Popular 30-gal (114-L) cabinet includes a separate polyethylene work tray that can be placed on top of cabinet for a handy work surface.